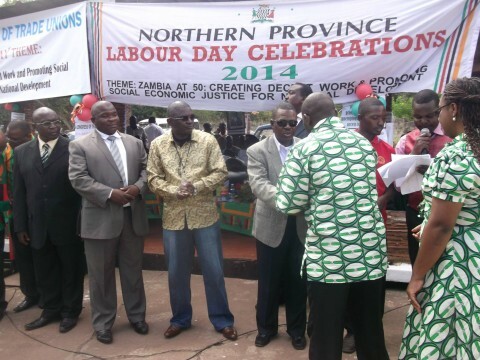 Kabimba presenting an award — in Kasama, Zambia. 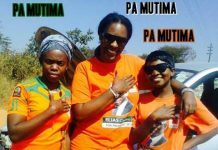 The opposition United National Independence Party-UNIP says Patriotic Front-PF Secretary General, Wynter Kabimba must be charged for allegedly influencing a by-election in Kasama. 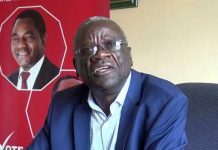 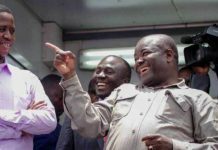 UNIP-Northern Province Chairperson, Freedom Kafunda has told Mano News that it was wrong for Mr. Kabimba who is also Minister of Justice to start preparing his party cadres in Kasama for a by-election which has not been declared. 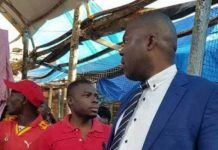 On 1st May this year, PF-Secretary General, Wynter Kabimba directed party officials in Kasama to prepare for a possible by-election. 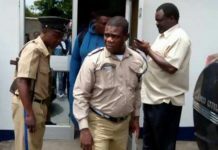 Speaking when he met PF officials at the party office in Kasama shortly after gracing the Labour Day commemorations, Mr. Kabimba charged that individuals who wanted to destroy the party were no longer factors and the PF in the region is now stronger.